Margaret Bain died 12th July 1919 aged 65. 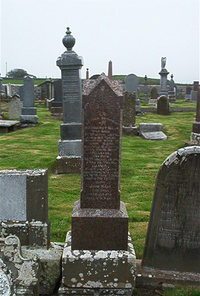 Son William Bain died 18th June 1895 aged 13. Son James Bain killed in action in France 10th November 1918 aged 26. Husband John Bain of Skiffle East Clyth died 19th January 1935 aged 79.